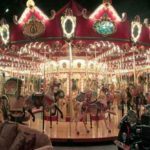 Antique carousels bring back memories of better times and they have a huge nostalgia factor. Not only do antique carousels look amazing, but they have a vintage appeal that is hard for people to resist. Unfortunately, true antique carousels are hard to come by. 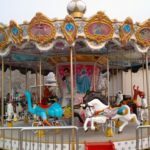 Thankfully, you can add a reproduction antique carousel to your theme park that will not only look amazing but bring that same nostalgia factor to your park. You can go with a double decker carousel or a carousel with a single deck. These are luxury rides and the decorations are ornate. You will find mirrors, lit staircases and beautiful lighting on these carousels. Another feature is that the animals are traditional, usually horses, cherubs and chariots. The poles feature brass covers that make them look just like the traditional carousels of yesteryear. 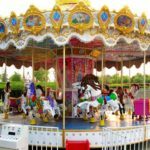 An antique reproduction carousel is going to be the focal point of your theme park and it is a ride that the whole family can enjoy together. The carousels are magnificent to behold and people will make new memories on them. They have a magical feel that is hard to resist for most people. 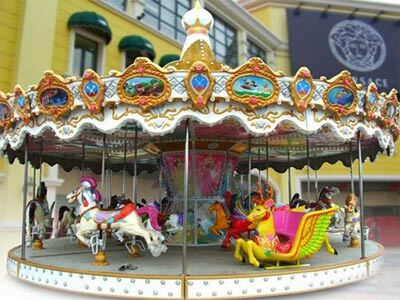 While the antique carousel will cost more because there is much more work put into it, the investment will be worth it because the ride will quickly pay for itself. 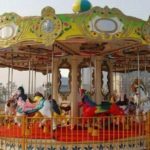 Carousels are very popular rides and you are never going to have to worry about a shortage of riders when you add one to your theme park. They are truly special rides and enchant everyone who sees them. Reproduction carousels are typically made with fiberglass instead of wood. Fiberglass has many positive attributes. It is easier to maintain and it won’t rot. You don’t have to worry about having it repainted and it is also lighter which means the cost to transport it is going to be much less than it would be if it were wood. Fiberglass carousels are also easier to take apart. The horses look just like they were made with real wood and the colors are vivid and fanciful. 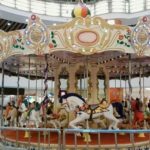 You can order your carousel with wheelchair access if you need to be ADA compliant and the lights use energy-efficient LEDs which will keep the cost to run the carousel down. The ceiling of the carousel has antique reproduction lighting and is painted with colorful Victorian scenes that bring back the past. The Victorian details even go down to the horses that look just like the horses on the antique rides. 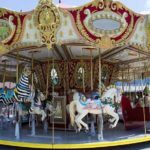 An antique carousel can be the showpiece of your theme park and there will always be lines to get on it. 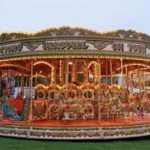 An antique carousel is going to be popular with both kids and adults and the extra cost is worth it. 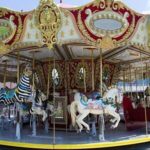 If you want your theme park to stand out from the rest, consider adding a reproduction antique carousel. You can’t go wrong with this choice and it will pay for itself. These carousels are truly amazing.